Rio Ferdinand believes Manchester United’s players will believe ‘everything is possible’ heading into their Champions League quarter-final showdown with Barcelona after their heroic comeback against Paris Saint-German in the previous round. United overturned a 2-0 first leg deficit to secure a famous victory against the French champions in Paris, with United legend Ferdinand now suggesting manager Ole Gunnar Solskjaer and his players will be confident of claiming another major scalp when they take on Barca. “Anything is possible for this Manchester United team under Solskjaer and the PSG game confirmed that,” Ferdinand told Independent.ie in an exclusive interview at an event to promote his new movie 90 Minutes. “To have 10 or 11 players out and still go over to Paris and produce a performance and get a result like that, it was incredible. “After that result, these players will go into every Champions League game believing they are capable of getting a result and I know what it is like when a United team believe in themselves on a European night at Old Trafford. Ferdinand believes the presence of Lionel Messi is likely to tip the balance in Barcelona’s favour over the course of the two legs, as he admits the Argentina maestro is unstoppable when he is at his best. “The one major problem United will have in this game is a problem every team that have faced Barcelona over the last 10 years and more....Lionel Messi,” adds Ferdinand. “It’s alright coming up with plans to try and stop him, whether its man marking or some other tactic, but this guy is more than good enough to get around all of that. 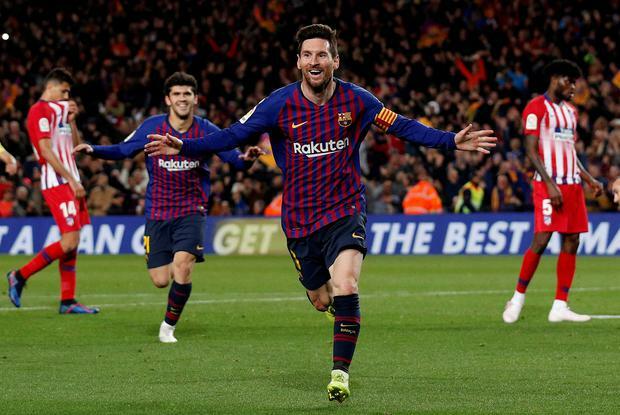 “Anyone who has played against Messi know how good he is and the reality might be that you can’t do much about it when he turns up, which is in most games.